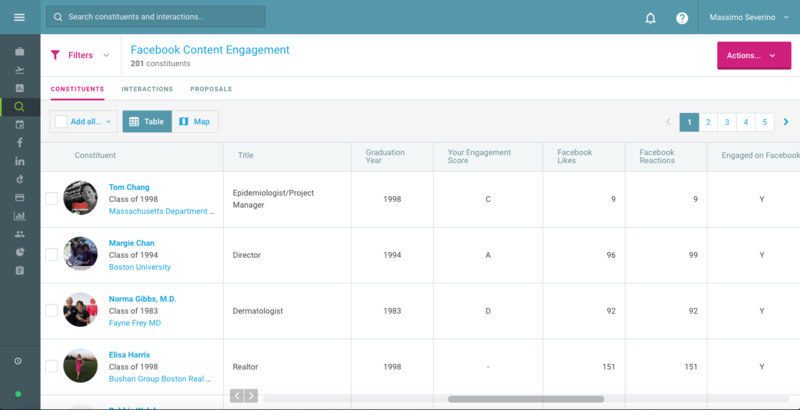 Tactic: Search for social engagement by keyword, then upload the resulting lists into your email marketing system to direct potential donors to customized gift forms. You can tailor solicitations to specific donor interest by searching for keywords in Facebook posts like “ scholarship,” “faculty,” “sports,” or “science” and designing asks that speak to people who have engaged with posts mentioning these topics. Check out this blog post for more on annual giving segmentation. Bonus: Segment even further by adding another filter for parents, alumni in certain classes, or more. Results: Appeals that correspond to donor interests are more likely to be effective, especially when paired with a customized giving page like those you can create in EverTrue.